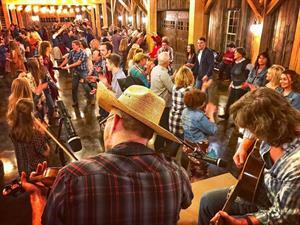 We're mixing it up this month and adding some contra barn dancing to the mix with live fiddlers and a caller! For those of you who don't know, a contra dance is a folk dance made up of long lines of couples. We'll still have our signature BBQ sandwiches, chips, snacks, and non-alcoholic drinks available upon purchase.